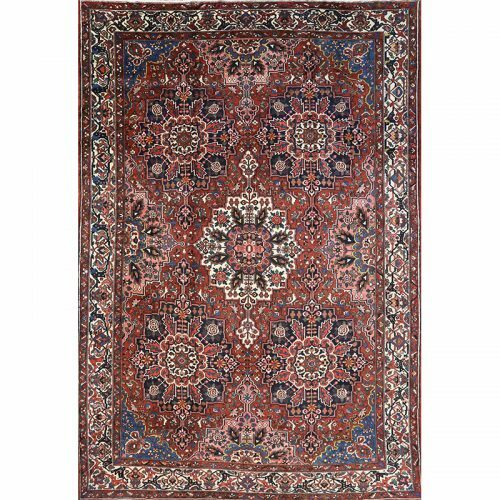 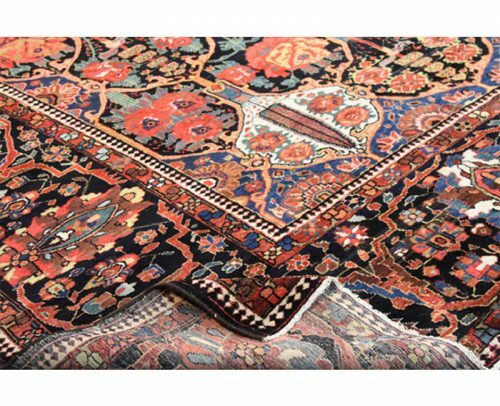 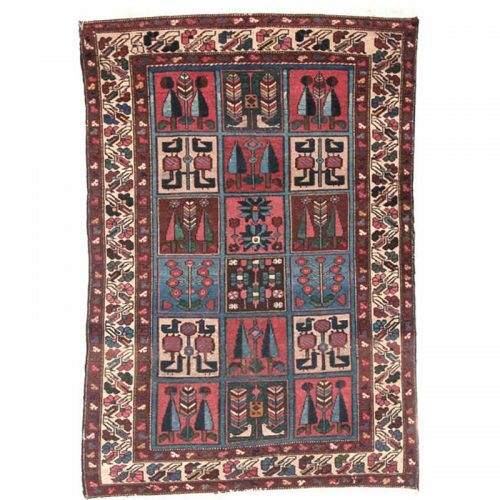 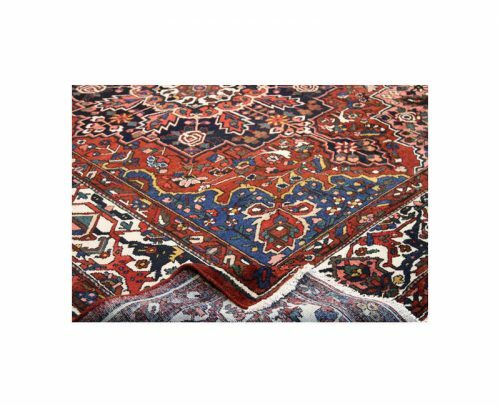 A beautiful handwoven Persian Bakhtiari rug makes a stunning addition to any room needing a hint of traditional. 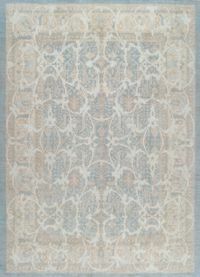 This elegant rug fits perfectly into any design style from modern commercial to trendy industrial and even eclectic chic. 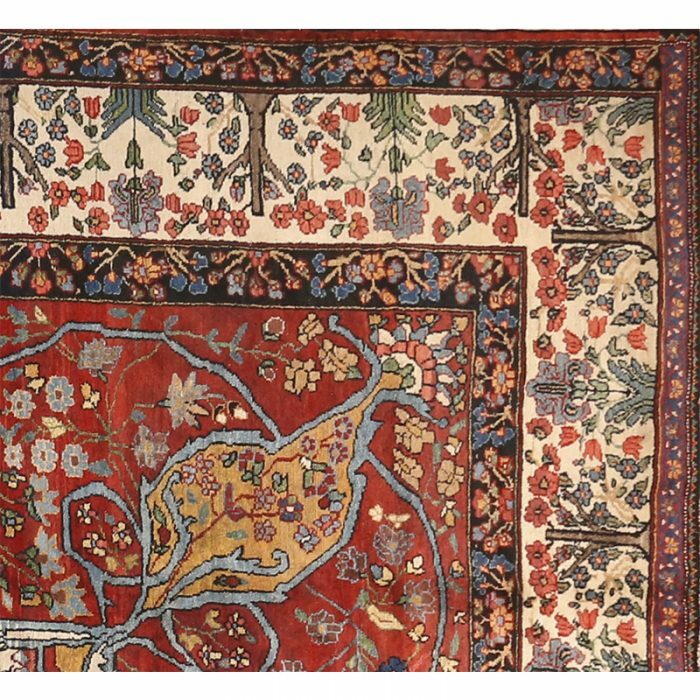 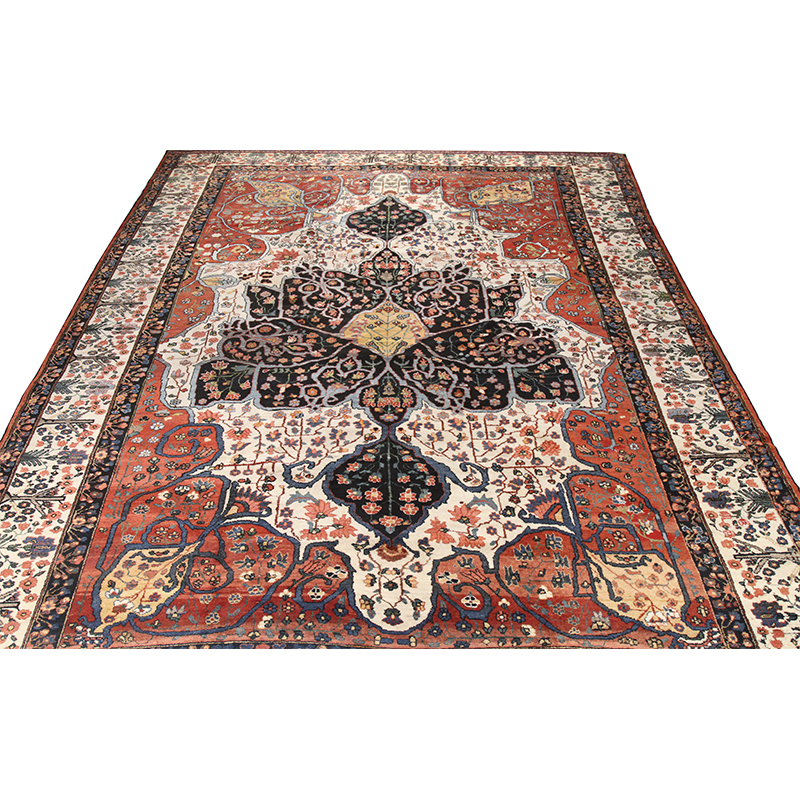 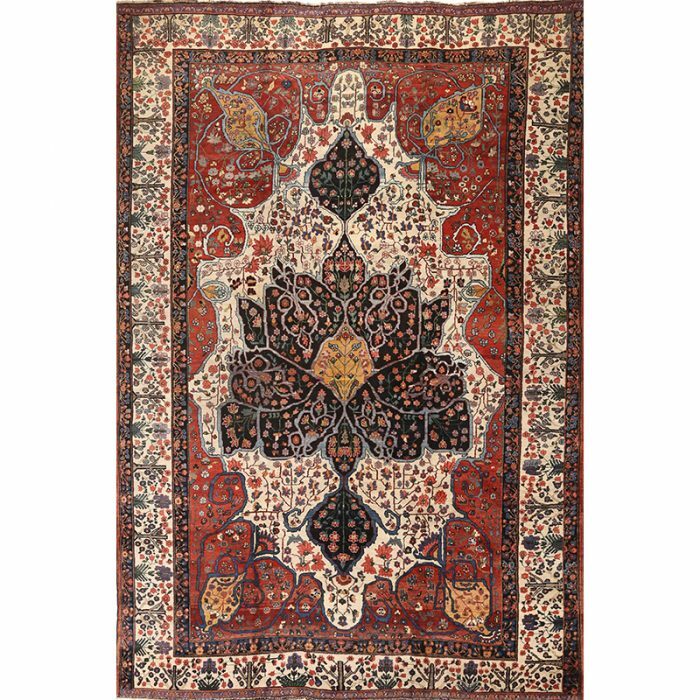 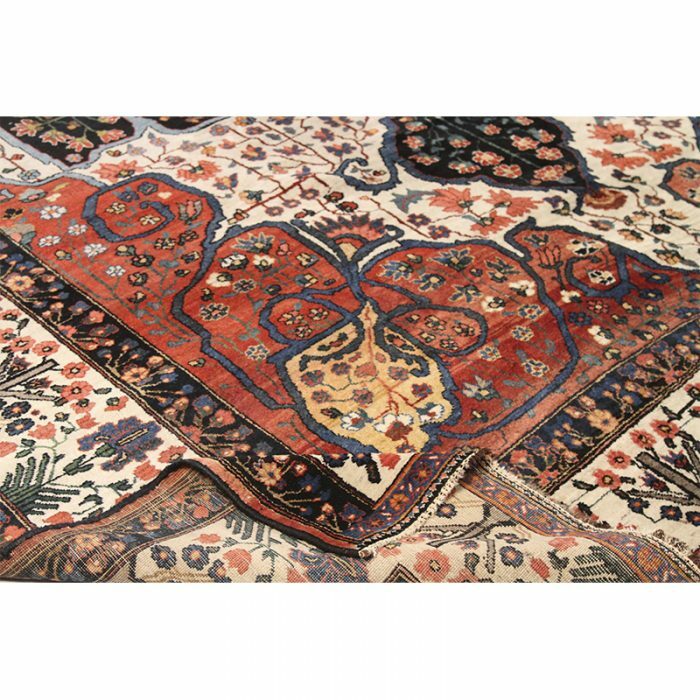 This antique handwoven Persian Bakhtiari rug features an abstract, butterfly shaped medallion on an ivory colored field. 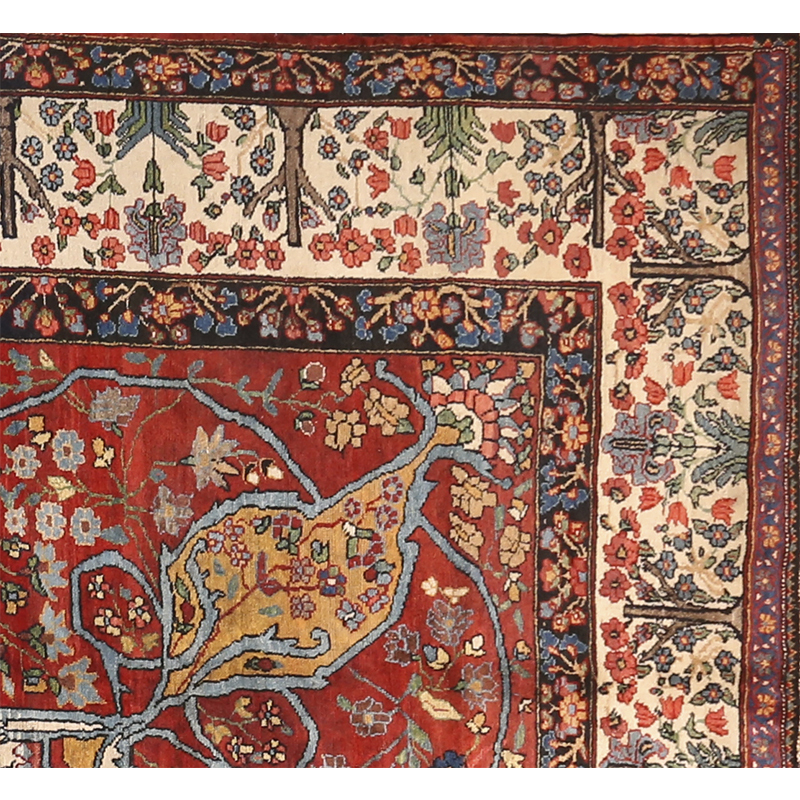 A similarly nuanced border encloses the field with burnt orange corners. 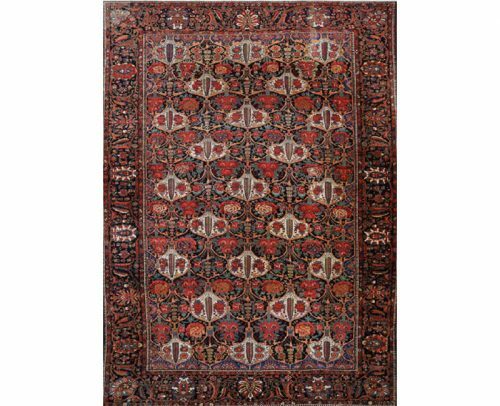 Additionally, accent colors include shades of navy, mustard/gold, blue and green. 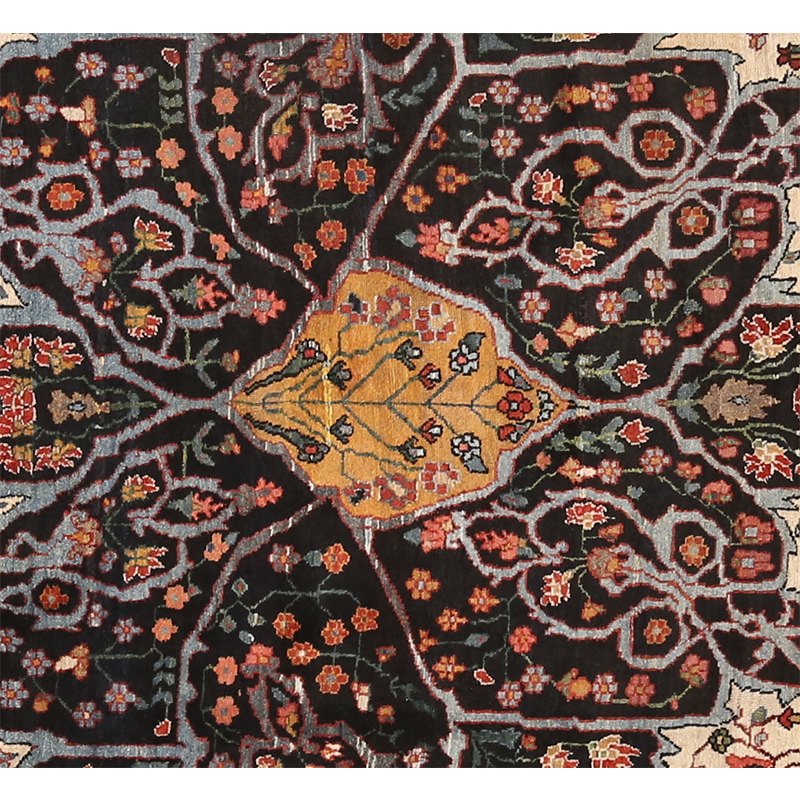 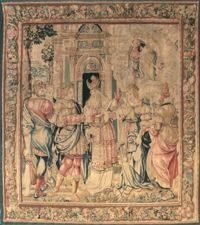 Created from 100% natural wool by the artisans of Iran.